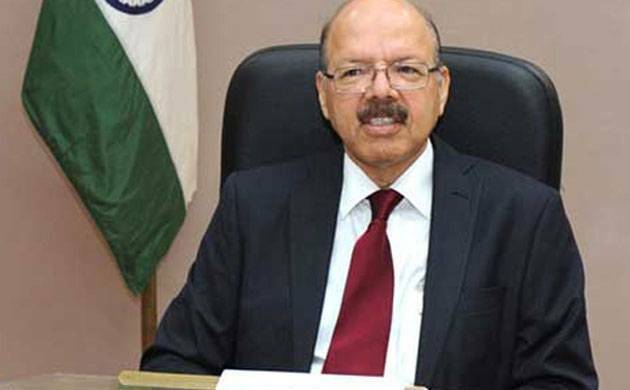 Chief election commissioner Nasim Zaidi said on Saturday that online voting is not feasible keeping in mind the security systems required to maintain its integrity. A file photo of chief election commissioner Nasim Zaidi. Chief election commissioner Nasim Zaidi said on Saturday that online voting is not feasible keeping in mind the security systems required to maintain its integrity. However, Zaidi said that the EC had formed a committee to examine the issue and its report was submitted to the Supreme Court and the law ministry. The EC found that the system of online voting is not practical today given the level of security required to keep the process tamper-proof. Zaidi's predecessor HS Brahma had supported online voting.